Depth at bow:20", at center:14.3", at stern:19". 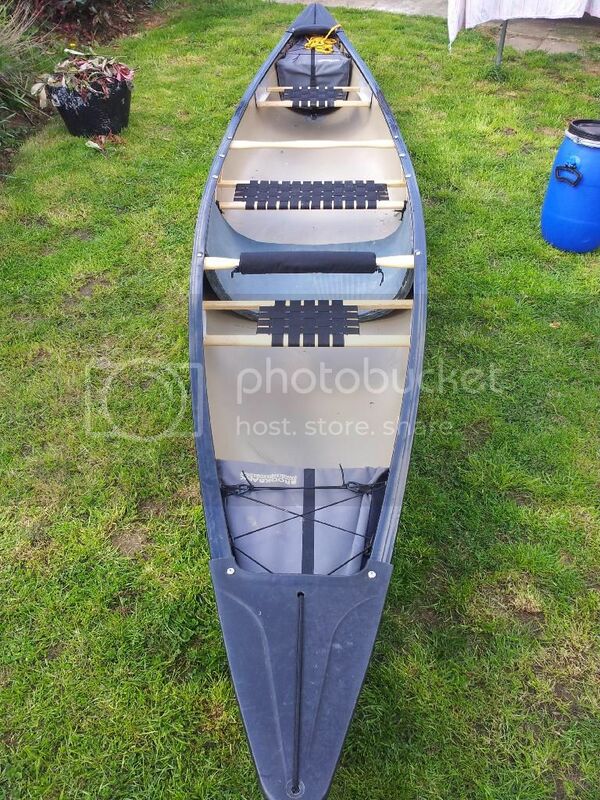 Fast and sleek with advanced styling .It has one of the sharpest and most efficient entry lines of any Royalex canoe. The Nova 16,with accent lines molded under the deck, is one of our most attractive canoes. A tucked in center section makes solo paddling easier. The flared sides below the tucked in line and the shallow arched bottom give the Nova good initial and final stability. For lightweight and most canoeing conditions, choose R-84 Royalite. For added durability when the canoe is used in Rocky streams or where whitewater will be encountered, choose the heavier Royalex material. 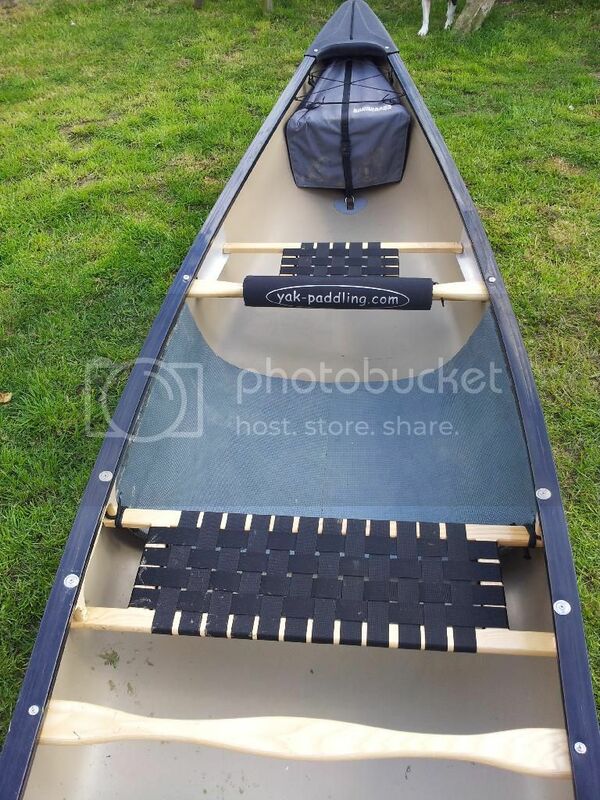 This is one of our most popular tandem canoes. for both wilderness tripping ,touring and general recreation use. Last edited by Canoe Guru; 7th-April-2008 at 05:05 PM. Well for the first time yesterday I spent 2 hours in a Nova 16 coaching a 1* course for a scout group. It was wet and very windy but I found that the boat did everything that I asked of it paddling solo, it tracked nicely was fast through the water and coped well with the adverse conditions, it did not take much movement to trim the boat in the wind and the primary and secondary stability was good. It turns easily with very little effort solo, as a solo/tandem touring boat it ticks the boxes IMHO, I don't think that it would be out of place on a river either possibly not much more than grade 2+ but depending on the paddler maybe G3? This is a pretty quick boat and makes for a great flat water paddle! The Nova sits pretty low in the water and not as prone to being blown about like some boats I've paddled. I've added a super wide seat to the centre for solo use, which has meant the carry yolk has now gone! This isn't really a problem as the boat can still be carried with some practice on your upper back/shoulders! I've made a few changes since owning it. The main being 'pinching' the gunwales in. The beam is 35" standard, mine is now 33", this feels better for solo paddling, and plus I prefer a narrower boat. The other change I've made is by adding 2 thwarts! I can't emphasise enough how much this boat needs them! It's the floppiest boat I've ever paddled! The hull feels very thin and will oil can when you're getting some speed on! The thwarts will transform it, stiffening it up and making better use of the energy from your strokes. It's a nice boat paddled tandem, with the kids and lovely to paddle solo. 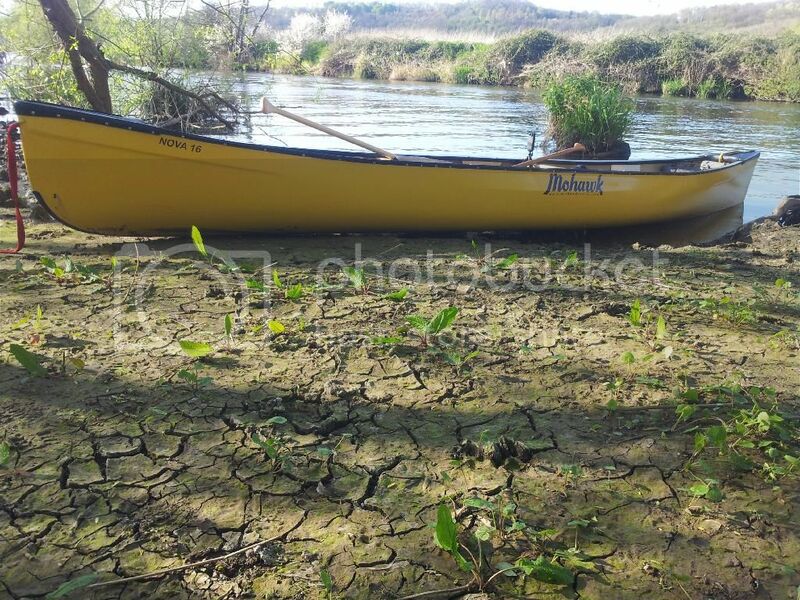 Quite nice heeled over, tracks good and well 'planted' in the water! Due to no rocker, this boat doesn't turn quickly, so don't expect it to be very agile, it ain't no quick river boat, grade 1/2 max! At home on placid waters. OK, for a royalex boat it's pretty heavy, surprisingly feels a lot more than my old Wenonah P16! Possibly due to it's abs coated ally gunwales? R84 obviously lightly. All said, it's a handsome boat on the water, and different! Mohawks are generally lovely looking boats, and stand out from all the other mainstream brands! Last edited by dirtydog; 20th-April-2014 at 12:20 AM.